As per reports, a group of youths of Sheetalpada slum on June 3 entered the tunnel-like pipeline with an intention to steal metal scraps from RSP premises. ROURKELA: The agonising wait of families of four youths, who are feared trapped dead in the underground effluent discharge system of Rourkela Steel Plant (RSP), continues even after 11 days of the tragic incident.The four youths, identified as Krishna Badaik, Suresh Singh, Suraj Kurmi and Gahnu Tirkey, had trespassed into the prohibited zone of RSP to steal costly metal scraps. As per reports, a group of youths of Sheetalpada slum on June 3 entered the tunnel-like pipeline with an intention to steal metal scraps from RSP premises. However, Krishna, Suresh, Suraj and another Raju Naik could not come out of the tunnel and went missing. A couple of days, Gahnu went searching for his missing friends as he was aware of the route. However, he too disappeared. Last Sunday, Raju’s body was retrieved by the rescue teams. Initially, the aggrieved families were reluctant to lodge missing complaints as they were aware about the illegal practice of the youths. It was on June 7 that family of one of the youths filed a report basing on which police started search operation.Since Saturday, personnel of Tangarpali police, CISF of RSP, Fire Brigade and Odisha Disaster Rapid Action Force are sweating it out to recover the bodies. But, given the complex structure of the underground tunnel which has deposits of hazardous effluent and gases, the rescue personnel are unable to gain access to it. Sources said though family members of the missing youths have accepted the harsh truth that their breadwinners would never return, what pains them is the fact that their bodies could not be retrieved for final rituals. Rourkela SP Dr Uma Shankar Dash said it is now clear that the four youths have died. “Our priority is to retrieve the bodies. 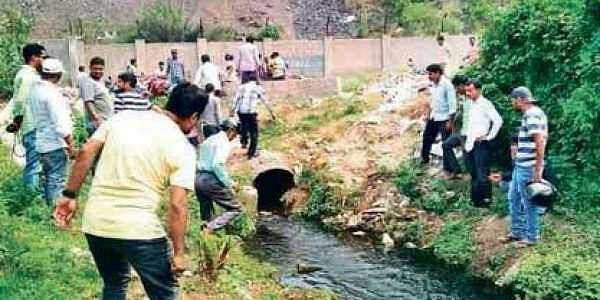 Rescue operations are getting delayed as the formation of the underground effluent discharge system is complicated and many internal drains are connect to it,” he said.Tangarpali police has registered an unnatural death case basing on the complaint lodged by the GM (Utility) of RSP in this regard.